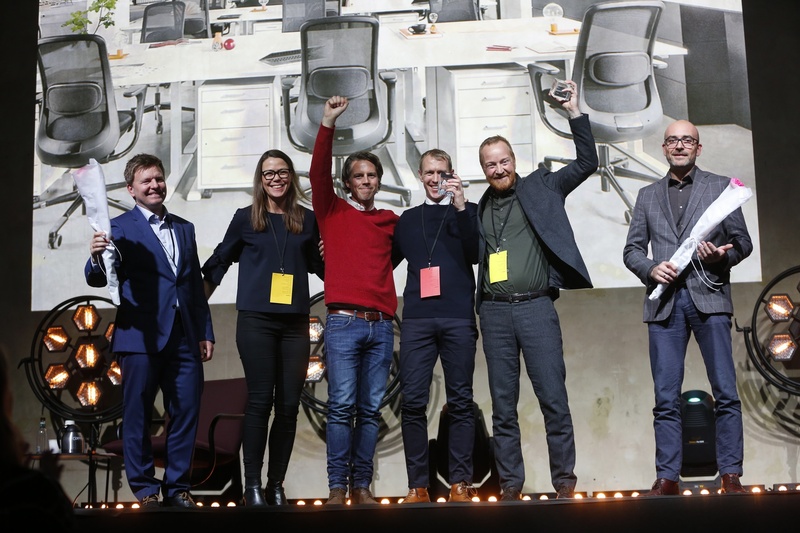 Yesterday, Flokk brand HÅG won the DOGA Award for Furniture Design for the HÅG SoFi mesh, an award presented for outstanding products in the Norwegian Architect and Design Industry. Launched last year, the HÅG SoFi mesh has been well received around the world. We sat down with two of the lead designers from the project, Aleksander Borgenhov (Powerdesign) and Sigmund Øvereng (Flokk), who discussed what it means to win a DOGA award and what makes the HÅG SoFi mesh stand out. What does winning this award mean to you both? Aleksander: First of all the DOGA award is by far the most important and prestigious designer award in Norway to receive. So in that sense it really is quite an honour. I think for guys like us who are designers and developers, we really like to be acknowledged by this prize. Sigmund: We know that there are professionals at DOGA who are doing the judging or evaluating of the products, so it’s a professional acknowledgement as well, which is good. Sigmund: There are a lot of people involved in a development like this who we don’t often see or hear much about, they are just hard workers – engineers, designers, developers – inside our organisation and external designers that we work with, and they get acknowledged by this award too. Aleksander: A lot of people reflect upon the fact that office chairs are surprisingly complex products. It takes a large team 4 to 5 years to develop a product like this, so it’s quite a big design task and it’s quite challenging to achieve our goals which we set. What were the aims of the project when you were developing the HÅG SoFi mesh? Sigmund: The HÅG SoFi mesh attracts a somewhat different crowd than the normal mesh buyer. Our ambition was to bring a HÅG style and a HÅG feel to a mesh-backed product. 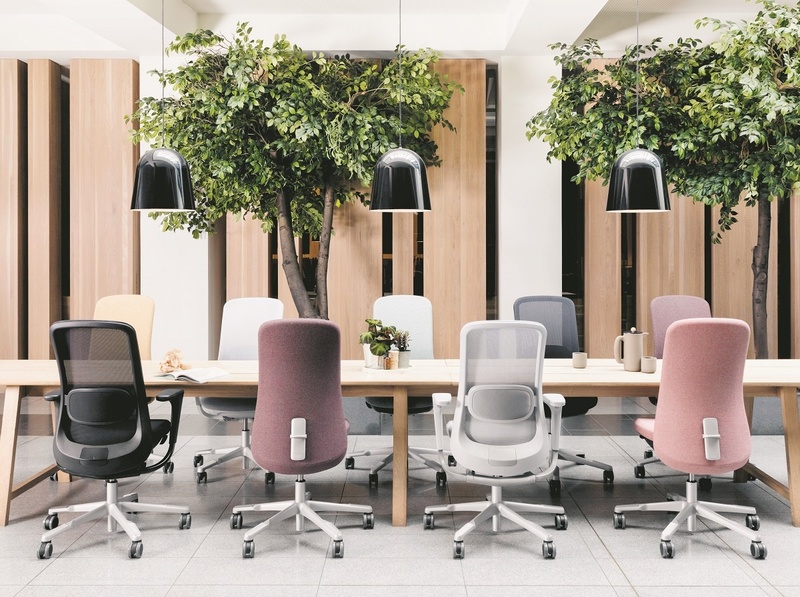 This means more friendly surfaces, friendly visuals or rather shapes and traditional Scandinavian design, coupled with HÅG’s unique ergonomic solutions. With this version of the SoFi we wanted to continue on with what we were doing with the original SoFi. Aleksander: We put in a lot of effort when we designed the fully-upholstered version the first time around to create something new, something which was possibly more inspired by your traditional furniture, and the comfort experience from your home furniture, and bring it to an office chair. Aleksander: When we set out to design the mesh version we had a challenge, because we had to remove some of this upholstery and therefore some of the inherent qualities. However, I think we have achieved in maintaining that visual style in the SoFi mesh because we have kept the basic silhouette of the back and the main design so those two chairs can work side by side equally well. I think that’s also one of the clues behind the success, because I think designers and architects see a rich amount of possibilities to use this chair in different environments together, giving it an extra appeal. 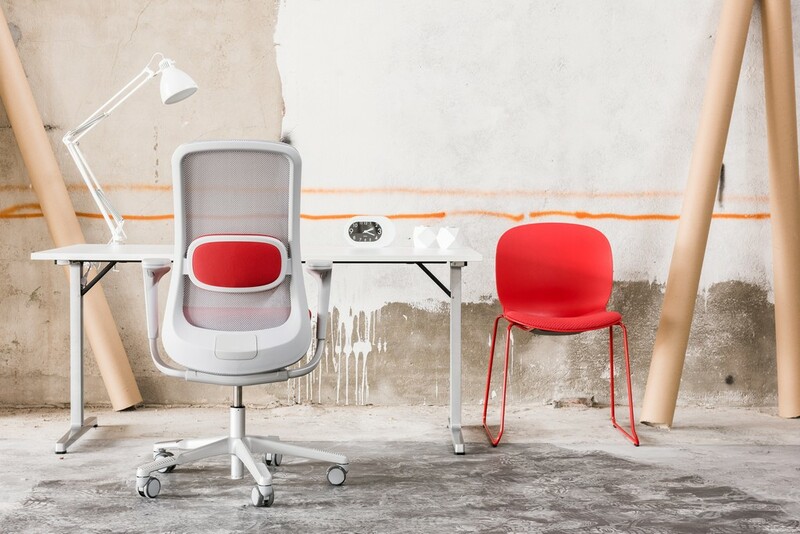 How does the HÅG SoFi mesh compare to other chairs on the market? Aleksander: Often our competitors have a fully upholstered chair as their premium model, and then they offer a mesh chair which is a bit cheaper, not necessarily in quality, but at least in comfort and feel. 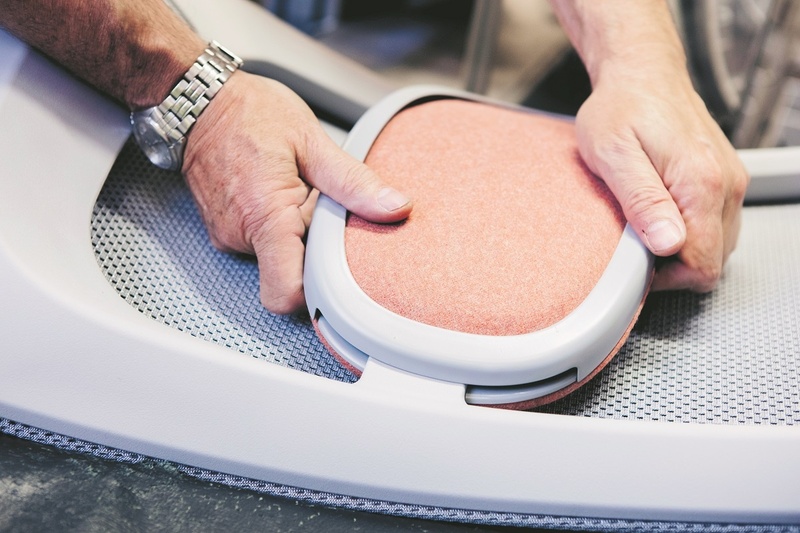 We wanted to make a premium mesh chair, so I think we had a mini innovation in our lumbar support by adding a comfort aspect to it. Sigmund: - yes especially on mesh chairs. 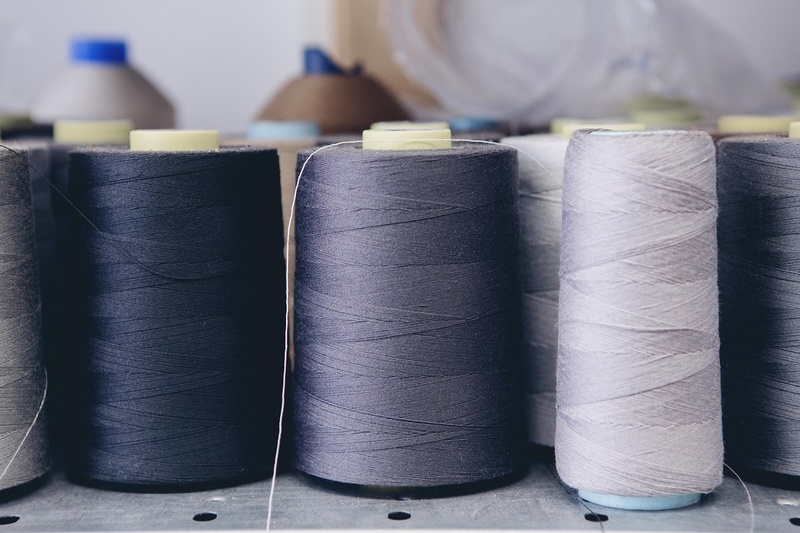 They are sort of flimsy and crude in their solutions, so we wanted to make sure that the lumbar support is proper, if you like, on the HÅG SoFi mesh. So we put quite a bit of effort into that, ending up with a semi upholstered lumbar with proper adjustability and proper functionality. It actually creates a different feel when you sit in it, that many other lumbar supports offered by our competitors don’t. So what makes it an exceptional choice? Aleksander: Sofi actually stands for ‘Stand Out, Fit In’, and we wanted to make a chair that was different from what our competitors are doing but at the same time, make something that would fit for everyone. I think what we ended up with is something that works, and it really appeals to the market. 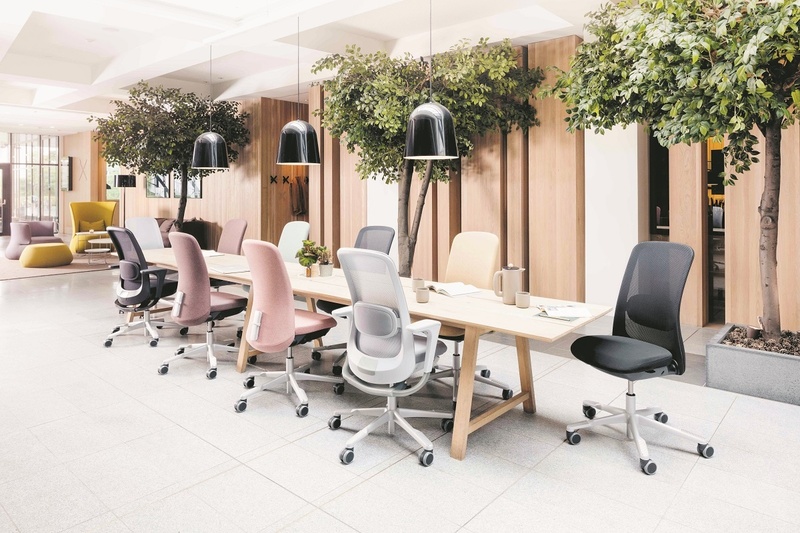 And with the entire range, both upholstered and mesh, there is a wide variety of colour and fabric possibilities, and now that we have two versions you get a really rich catalogue of chairs to choose from, and I think most people will find something they like.